bumGenius Littles 2.0 Newborn cloth diapers fit from 6-12 pounds. They are intended for a newborn and fit low, below the navel, to keep the umbilical area dry. This diaper is designed to fit during that itty-bitty newborn stage. 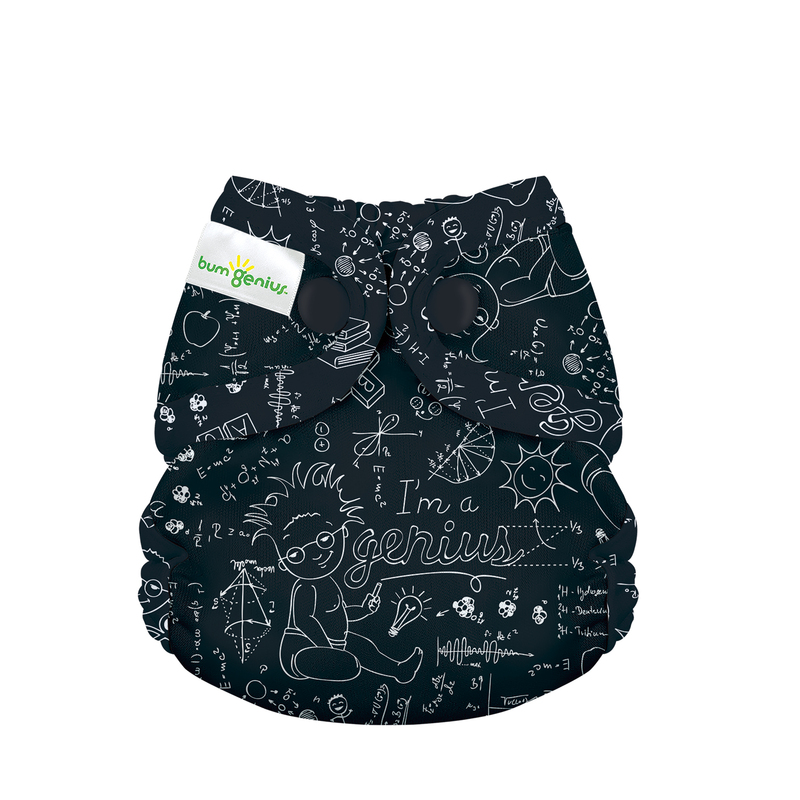 The soft, waterproof outer fabric keeps the diaper trim on your newborn. Soft, organic cotton lining provides a more natural solution that doesn't compromise performance. Super stretchy, gentle leg and back elastic with rolled out casings keeps in the yuk and help to keep red marks away. I was a bit skeptical about this diaper, particularly since it didn't have a snap down for the cord. But it fits quite well, including under the cord. It it very trim, but maybe not the most absorbent diaper. It takes a pretty long time to dry. And I wish the little extra insert was sewn in as a flap or could snap in instead of just being laid on top. 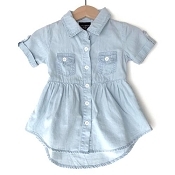 Great fit on my small baby (born at 6 pounds 10 oz) but she is outgrowing it faster than the other newborn AIOs I have. Comes with a tiny insert for extra absorbency which is nice as other inserts would not fit inside this one. I have 8 of these in the older style with Velcro. I absolutely love them. They made starting cloth for the first time so easy. Great fit, no leaks (didn't try overnight but daytime and naps were good). Not sure if snaps allow the same adjustability but I would purchase more if I have a second baby. Only downside was our newborn pees and poops a lot so we had to change frequently and needed more diapers for sure. A shell might have been a better choice for those frequent changes. Still using on my little one at 7 weeks. Only reason for stopping now is she is outgrowing the absorbency.